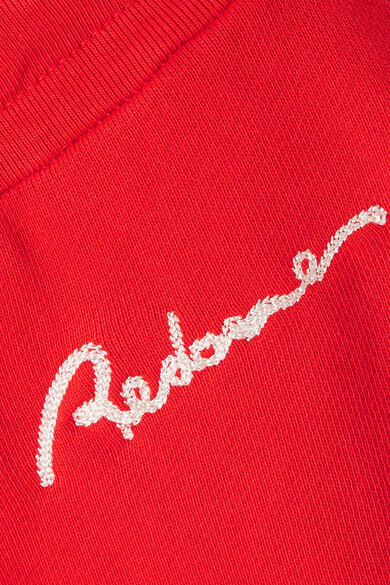 RE/DONE's shorts are inspired by '70s gym uniforms. Made from soft cotton-jersey, they're embroidered with the label's logo and have a flattering high-rise waist and curved hem. Wear yours with the matching top and a pair of Nike 'Cortez' sneakers for the ultimate vintage look. Shown here with: RE/DONE T-shirt, A.P.C. Atelier de Production et de Création Shoulder bag, Isabel Marant Sneakers.